The event is organized in cooperation between the Nordic Council of Ministers and the Ministries of Culture in Schleswig-Holstein and Poland. 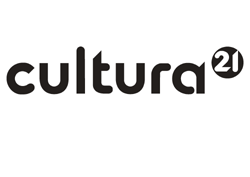 In connection with this seminar, the report “Culture and Sustainability in the Baltic Sea Region – 8 findings, a number of opportunities and way forward” is written by Thomas Winter (Innogate) and Oleg Koefoed (Cultura21 Nordic). Its draft version will be presented by the authors at the event. Click here to download the program (PDF file). To attend this event (limited number of places available), please send your request to Linn Mårtens (linm [at] norden [dot] org) or the project leader Thomas Winther (tw [at] innogate [dot] net) before Friday the 19th of April 2013.